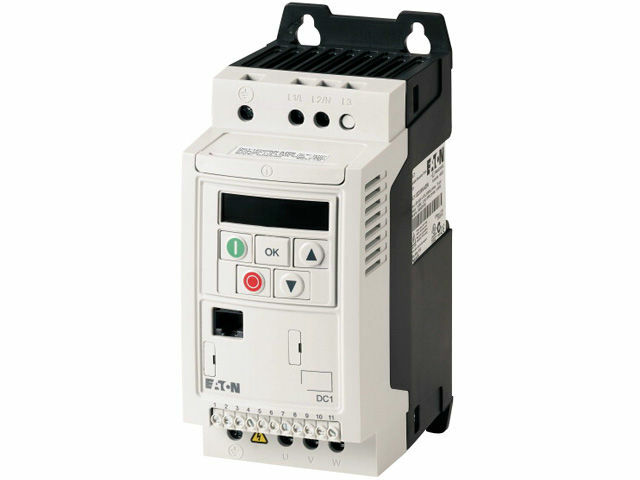 EATON DC1-344D1FN-A20N inverter has been designed for simple applications. Assembly and programming simplicity reduce the application commissioning time. Typical applications of this inverter include pumps, fans and conveyors of up to 1,5kW power control. TME’s offer includes other DC1 series inverters, as well as EATON DA1 series inverters designed for more demanding applications.